A new centre for research into the causes, consequences and treatments of heart, lung and blood vessel diseases has opened at UBC’s Okanagan campus. The Centre for Heart, Lung and Vascular Health, which initially includes two research labs, was officially opened and dedicated today. Cardiovascular, respiratory and cerebrovascular diseases continue to be the leading cause of morbidity and mortality in Canada, with five million Canadians living with heart or respiratory diseases or as survivors of strokes. The prevalence of these chronic conditions costs the Canadian health-care system an estimated $35 billion a year in direct and related costs. 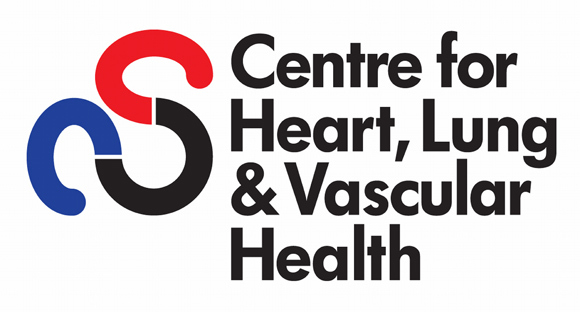 The Centre for Heart, Lung and Vascular Health is an interdisciplinary clinical research facility based in the Faculty of Health and Social Development with links to other faculties and schools on campus. 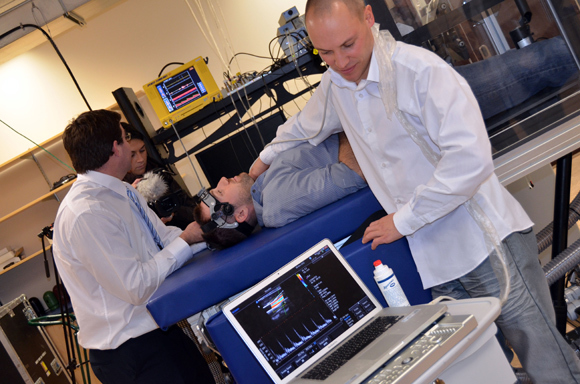 The centre will be led by co-directors Philip Ainslie, associate professor in the School of Health and Exercise Sciences (HES) and Canada Research Chair in Cerebrovascular Physiology; and Neil Eves, associate professor in HES and Michael Smith Clinical Scholar in cardiorespiratory physiology. “This is truly an exciting development for our campus,” says Wes Pue, provost of UBC’s Okanagan campus. “The Centre for Heart, Lung and Vascular Health is dedicated to research and dissemination of knowledge for the benefit of society: this is what universities are all about. Gordon Binsted, Dean of the Faculty of Health and Social Development, says the Centre for Heart, Lung and Vascular Health aligns with UBC’s strategic research plan, which aims to enhance and focus research on human health and genomics, neuroscience and cognitive systems and population health. “This is an opportune time for such a centre as there is an urgent need for research to improve the health of all Canadians,” says Binsted. Ainslie says establishing a research centre of excellence in the Okanagan is a first for the specific study of heart, lung and vascular health through the human lifespan. Ainslie and Eves are also in the final stages of building a long-term database to facilitate funding, research and training opportunities in chronic disease research. The centre will also establish networks with Interior Health, provincial, national and international scientists and other centres focused on heart, lung and vascular health research. Eves says the Centre for Heart, Lung and Vascular Health will provide scientific leadership through coordinated facilities and collaboration. A scientific advisory board of affiliated scientists and external members will also be struck to guide the centre’s mission. UBC PhD student Chris Willie, right, conducts a procedure on another student using a NASA-designed lower body negative and positive pressure box in a Centre for Heart, Lung and Vascular Health lab. 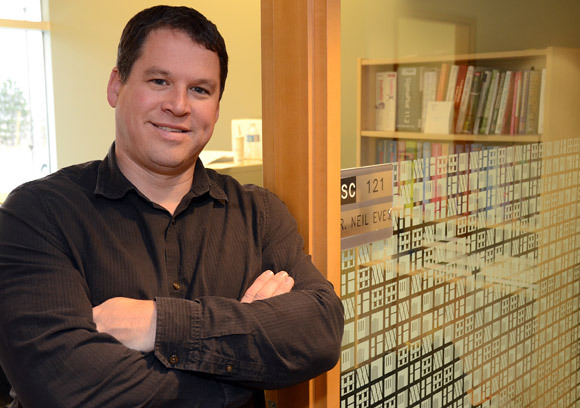 Philip Ainslie, associate professor with UBC’s School of Health and Exercise Sciences and Canada Research Chair in Cerebrovascular Physiology, is co-director of the Centre for Heart, Lung and Vascular Health. 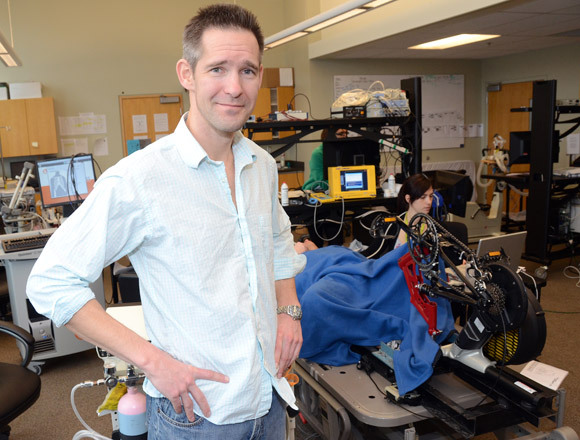 Neil Eves, associate professor with the School of Health and Exercise Sciences and Michael Smith Clinical Scholar in cardiorespiratory physiology, is co-director of the Centre for Heart, Lung and Vascular Health.